huge fan of musclepharm. love the whey protein. its subtle taste and gives good results. 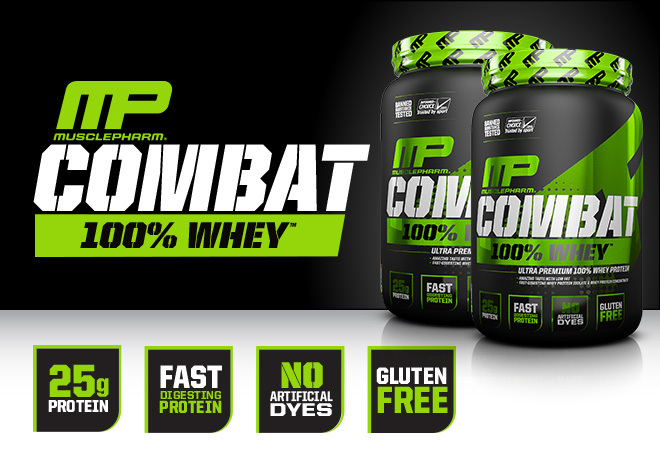 Mix 1 scoop of COMBAT 100% WHEY™ with 200-250 ml. of cold water. Vary the amount of water to achieve desired consistency and taste. To increase your protein intake per serving and achieve a delicious milkshake taste, use milk instead of water. Consume additional servings throughout the day to meet your daily protein requirements. Use in combination with whole food protein sources, a balanced diet, and exercise program.